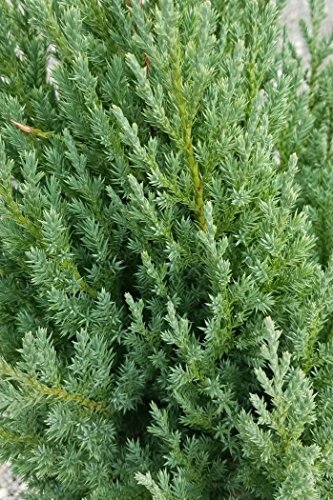 The Blue Point is a densely branched evergreen Juniper with a naturally pyramidal growing growth habit. The Blue-green foliage of the Blue Point stays consistent year round, and requires little to no maintenance once established. This selection is drought tolerant, deer resistant, will adapt to many soil types, and very easy to grow. This is a very versatile vertical element that can be utilized in containers or planted in the landscape being used as privacy screens, specimens, accents, or windbreaks. If you have any questions about this product by Plants by Mail, contact us by completing and submitting the form below. If you are looking for a specif part number, please include it with your message.